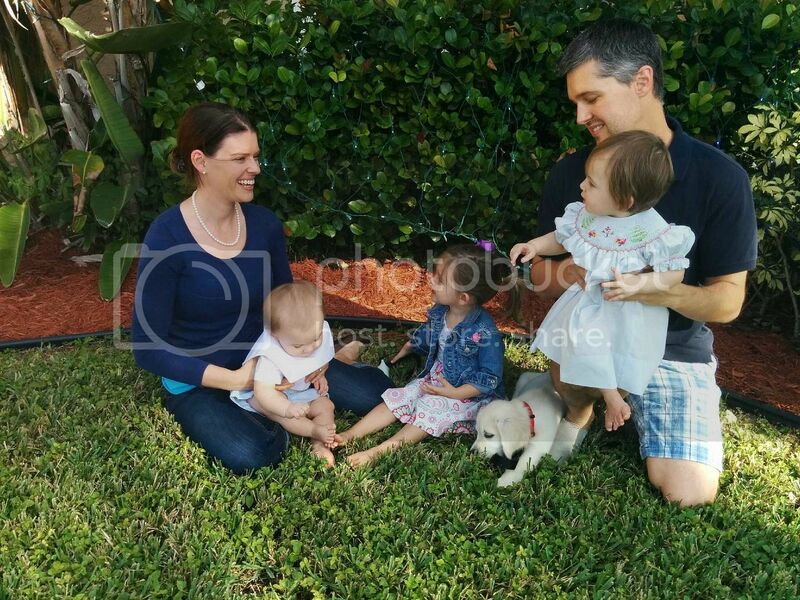 So You Adopted a Dog in Boca Raton...What's Next? 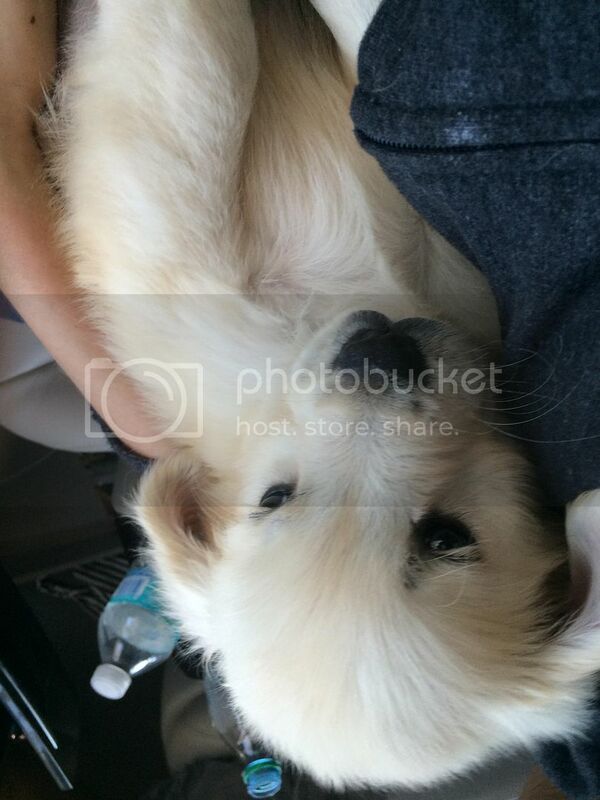 So You Adopted a Dog in Boca…What’s Next? Today we got a dog in Boca Raton. Yes, you read correctly…. We got a puppy. Most people look at me like I am crazy when I show him off the same way I flip through pictures of my kids, and I have decided that crazy I may just be. Becoming a mommy to a fur-baby is much like adding a human offspring to the mix, so much so that I wanted to share it with you! Welcome to the madness, Ghost! Dog Parks are the new alternative to the playground. Who is more rambunctious today, the kids or the dog in Boca Raton? Dog parks are a great place to meet other pet owners who share the same goals that you do: avoiding fleas and other communicable doggy illnesses while getting the pups socialized and expending as much energy as humanly, or caninely, possible. Our little pup is only 15 weeks old and not vaccinated enough to actually experience much of what the county park system has to offer, but here are the parks in Palm Beach County, including the rules: HERE. 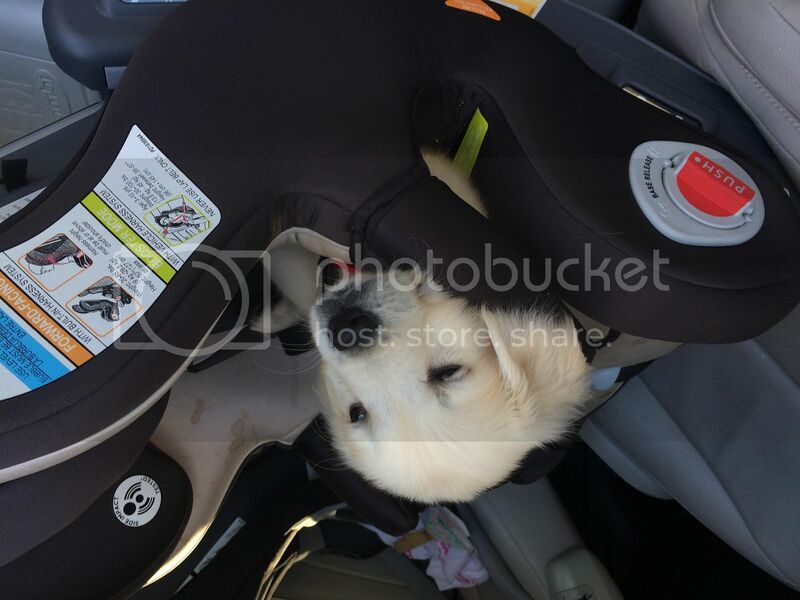 Ghost loves his “siblings'” car seats for car trips. We have driven by Canine Cove, out in West Boca, and it looks nice for both dogs and their human supervisors, offering benches and some shade for all! 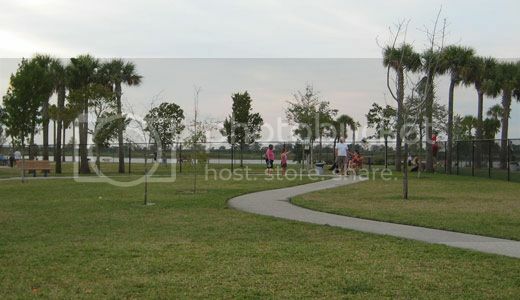 They have 2 large dog play areas, and one small dog play area which is a nice amenity. It also has an adjacent toddler-friendly playground which makes for the perfect weekend stop when you have an extra set of hands to occupy all of the “kids”. The City of Boca Raton offers Mizner Bark and Bark Beach, both of which you must purchase a permit for. City residents get a discount for both, with Mizner Bark having a free permit, but you MUST have a permit for both. 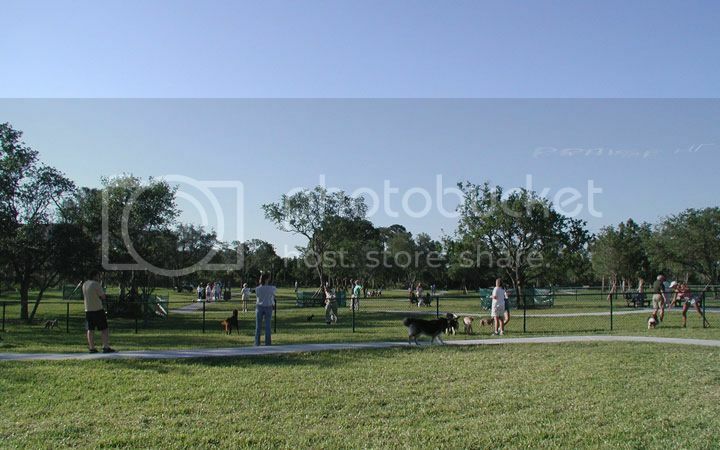 For dog parks in the Tri-County area, visit HERE. Broward County’s park rules state that well-behaved, leashed pets are permitted in most parks and also provides information on spaying and neutering your pups: HERE. The “park patrol mission” is only one facet to our new pet owner’s manual that we are trying to construct each day. Major decisions such as the food to feed, how or who to use to train said furry companion and which groomer to use challenges us daily. The most important question to answer is how to find, a reliable, trustworthy, veterinarian with hours to suit our/your needs best. Pet insurance plans are also becoming the norm which really makes our pets less of a financial worry and more a member of our family, just like a kid! Our attempt at a family Christmas picture. Where is your favorite place to take your dog in Boca Raton to play? Your pup’s favorite grooming location? Comment below!